After a seven-year battle through the courts, yesterday (23 June) Jill Ireland, a Malaysian Christian finally won the right to re-gain her CDs of worship songs which include the word ‘Allah’. The Malaysian Court of Appeal ordered its Government to return the spiritual material to Ms Ireland. Her appeal had been heard three months ago on April 23rd, but the three-man bench had reserved judgment until now, and they specified that the CDs be handed over “within one month”. Ms Ireland, a 34 year old clerk, had brought the CDs from Indonesia in 2008. But on her arrival at a Kuala Lumpur airport, Customs officials seized the eight CDs because they contained the word Allah in their titles. (Ms Ireland is Melanau, a group who mainly live in the Borneo states of Sabah and Sarawak, far from KL, the capital in peninsular Malaysia. 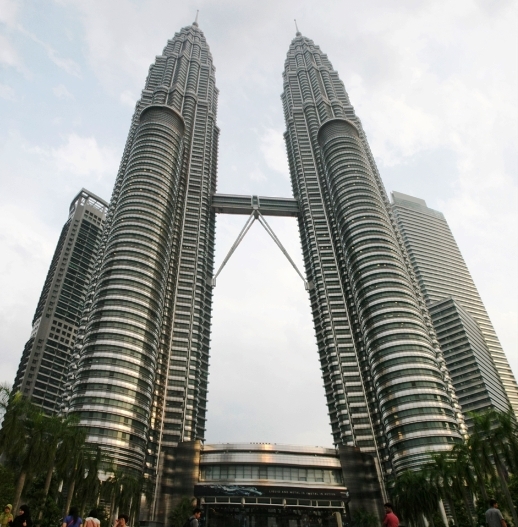 Malaysia has been in the limelight because of a controversial ban on the use of the word to describe the ‘Christian’ God, even though in the Malay language it’s been used for over 100 years. Muslim leaders across the world, and UN human rights bodies, have decried its government’s decision to ‘copyright’ the word for the exclusive use of Malay Muslims. The Government maintained that it had the authority to confiscate the material, under the Printing Presses and Publications Act, if the CDs were likely to be “prejudicial to public order”. 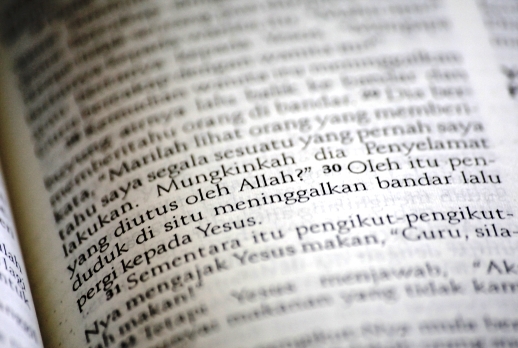 Islamic authorities claim that Christian usage of Allah, a word whose roots precede the birth of Islam, would confuse Muslim Malays and so propagate the Christian faith among them. Ms Ireland’s case was first heard in May 2009 and the High Court granted her leave for a judicial review. In July 2014 the High Court ordered the Government to return the spiritual material to her and pay $5,000 ringgit (US$1,335) towards her legal costs. But the Government refused to return the CDs and appealed against the ruling, resulting in this appeal decision. Lawyers for the Government said they would await instructions on whether to file an appeal against this verdict. The Borneo Evangelical Church of Sabah and Sarawak, of which Ms Ireland is a member, said it hoped that the case would finally be settled when the CDs were returned. Its president Rev Dr Justin Wan said that “we will go another round” if the Government sought to contest today’s decision. In tandem with the Government’s decision to challenge the earlier ruling, Ms Ireland had filed a counter-appeal seeking a resolution on her constitutional right to use the word Allah. Yesterday’s ruling, however, did not focus on this issue; Justice Tengku Maimun Tuan Mat, who presided in reading out the Court of Appeal’s judgment, ordered that the declaration sought by Ms Ireland on the use of the term “Allah” be heard again at the High Court. Of the judgment, Andrew Khoo, a lawyer who held a watching brief for the Christian Federation of Malaysia, Bible Society of Malaysia and the Anglican Diocese of West Malaysia, said it was a fair and brave decision. He said the three-man bench demonstrated their independence and showed they were not prepared to give in to the pressures of certain segments of society who wanted to restrict freedom of religion for non-Muslims in the country, and thus had protected the constitutional rights of Malaysians. The decision provides a measure of comfort to Malaysian Christians whose faith and places of worship have come under attack from Islamic extremists in recent years. Churches have been firebombed; copies of Malay language Bibles (also named from the Arabic root word for ‘The Book’ – Al-kitab) seized; effigies of the Editor of the Herald, Catholic priest Lawrence Andrew, set ablaze; and threats made to burn Christian Scriptures. In the latest incident in April, Malay Muslim protesters demonstrated outside a church 40km from central Kuala Lumpur to demand that it removed the cross on its shophouse building. The demonstrators in the Malay Muslim majority locale said the Christian symbol challenged Islam. The Christian pastor, Paul Packianathan, of the Community of Praise church in Petaling Jaya said he and his parishioners forgave the protesters. The Government has since given assurances that it would ensure the safety and security of the worshippers. The sense of intolerance in the multiracial country, once a byword for religious harmony, is becoming pervasive. One state, Kelantan, ruled by the Islamic Party, recently passed a law to implement hudud punishments such as floggings and amputations on wrongdoers. The state wants the Federal Parliament to follow suit. Human rights group say such a law would breach the ethos of the secular Constitution that upholds freedom of religion and which is also the cornerstone of the foundation of Malaysia. In another sign of growing intolerance a Malay-Muslim woman gymnast who won a gold medal at the South-East Asian Games in June was criticised by Islamists for wearing a leotard that, according to them, was so tight-fitting it was “too revealing” and “obscene”. Farah Ann Abdul Hadi, 21, also won a silver medal and three bronze medals but her success was overshadowed by the comments. According to the Malay Mail Online, Kamaruddin said federal Islamic authorities should develop guidelines for sports so Muslim women can stay Sharia-compliant.